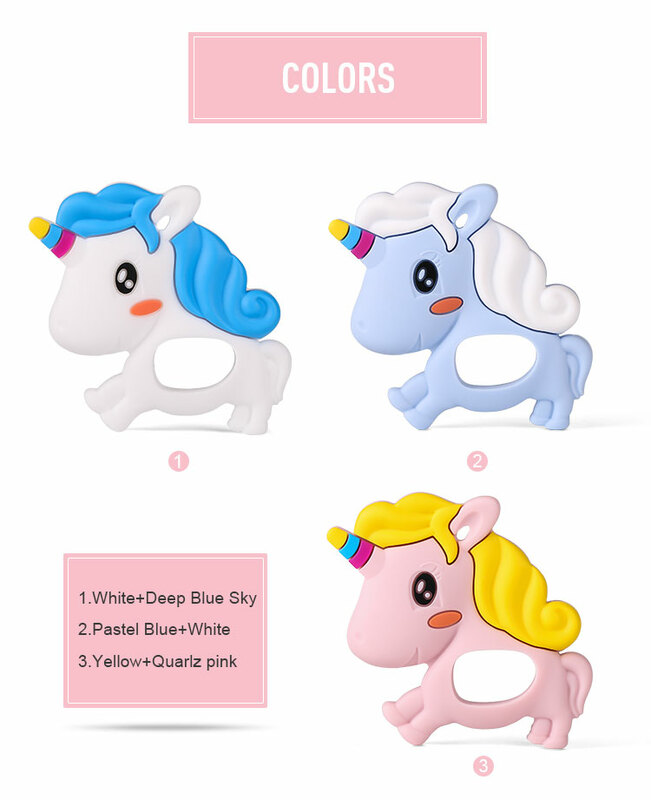 Colors of unicorn Silicone Teether are bright and neutral, and different textures stimulate baby`s visual, sensory and motor skills and unicorn baby silicone teether is attached easily to a Pacifier Clip so you can hang it on baby for easy, quick teething access. 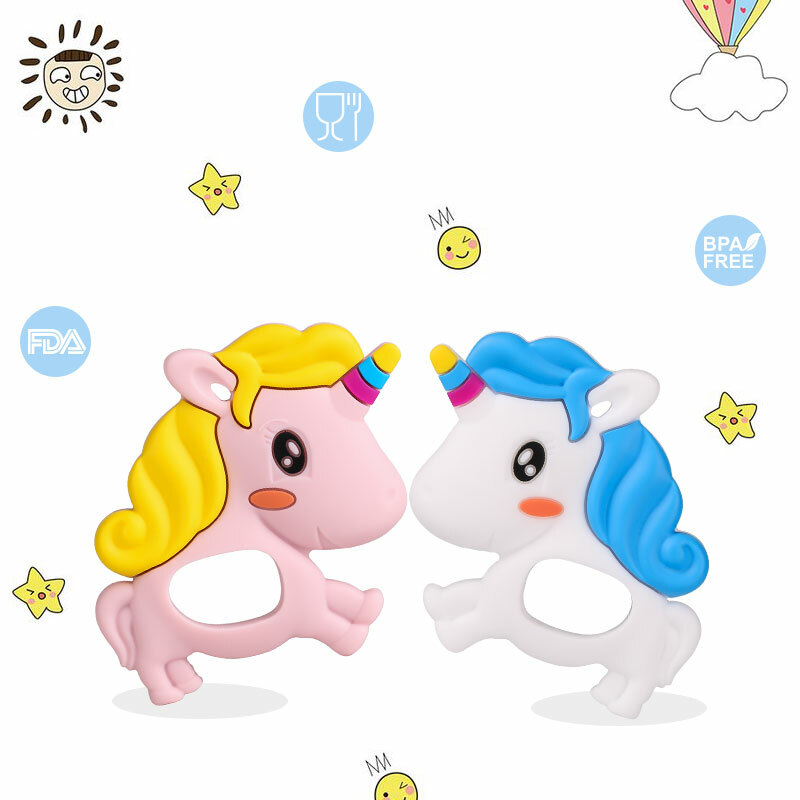 Unicorn baby silicone teether is big enough for little hands to grip and handle, and it helps stimulate hand-to-mouth coordination, which means baby learns while playing. 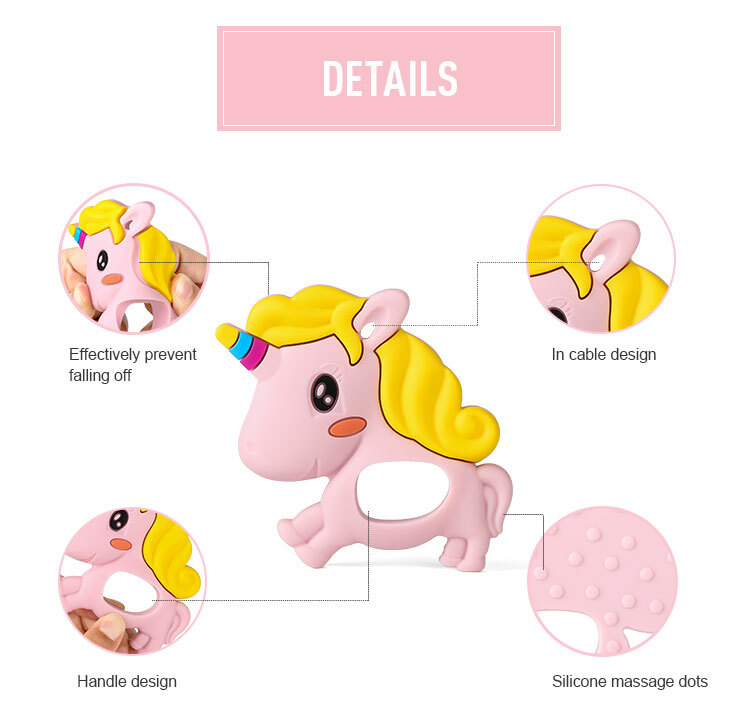 For more: Silicone Baby Teething Beads, Baby Teething Necklace, Sensory Baby Chew Toys, Silicone Baby Teething Bracelet, Baby Pacifier Clips, Baby Teething Mitten, Silicone Baby Teether Toys, Silicone Baby Bibs , Silicone Baby Placemats, Silicone Baby Sippy Lids. 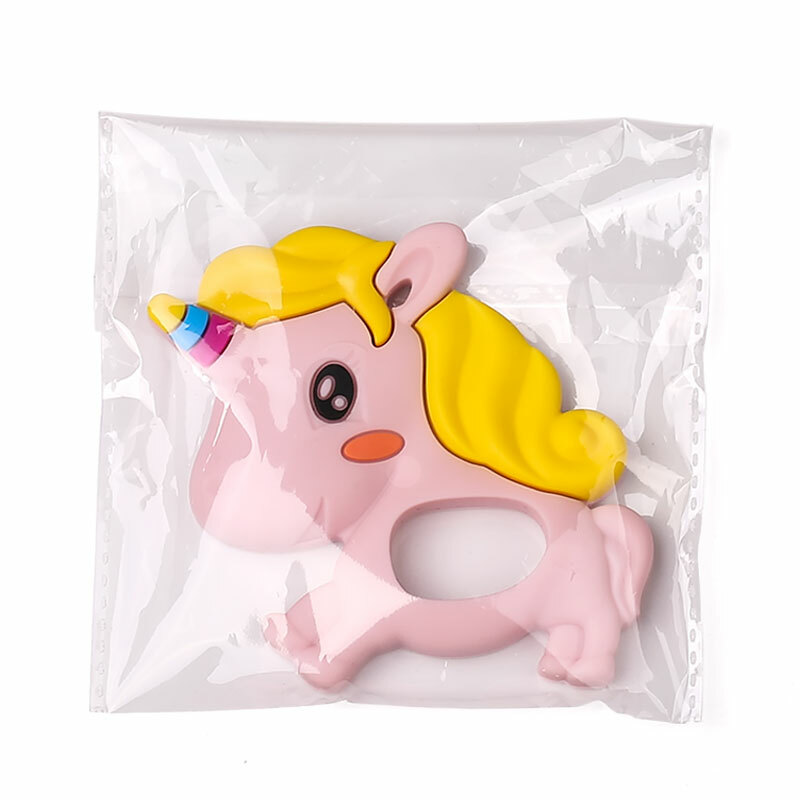 Looking for ideal Unicorn Silicone Teether Manufacturer & supplier ? We have a wide selection at great prices to help you get creative. 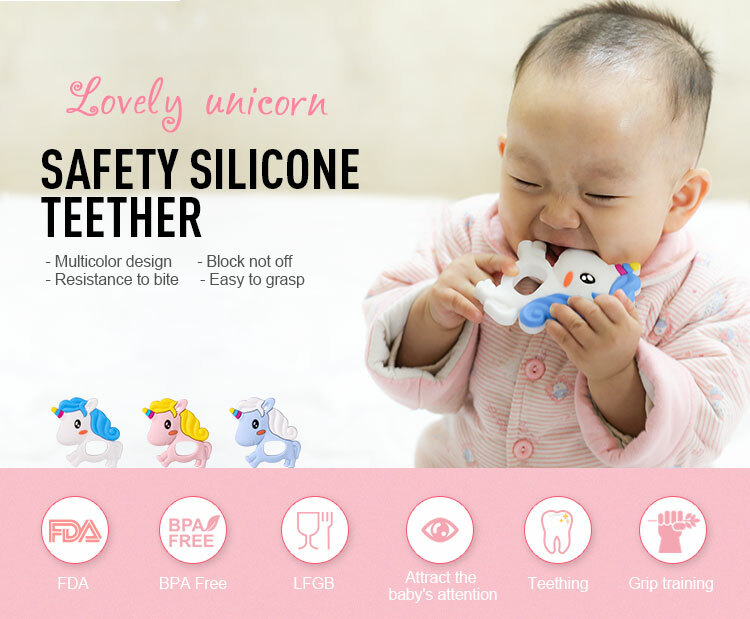 All the Baby Silicone Teether are quality guaranteed. 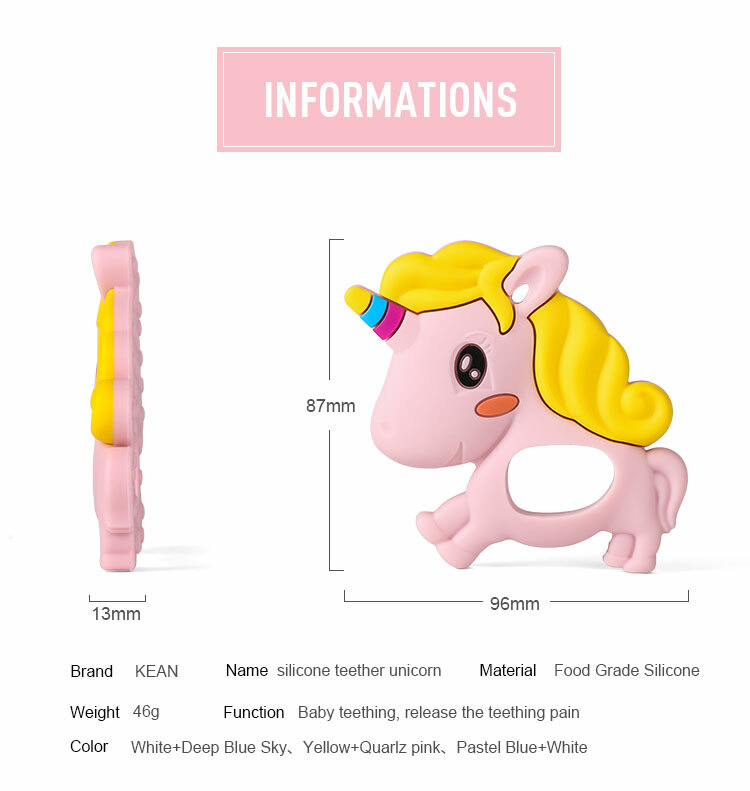 We are China Origin Factory of Unicorn Baby Silicone Teethers. If you have any question, please feel free to contact us.